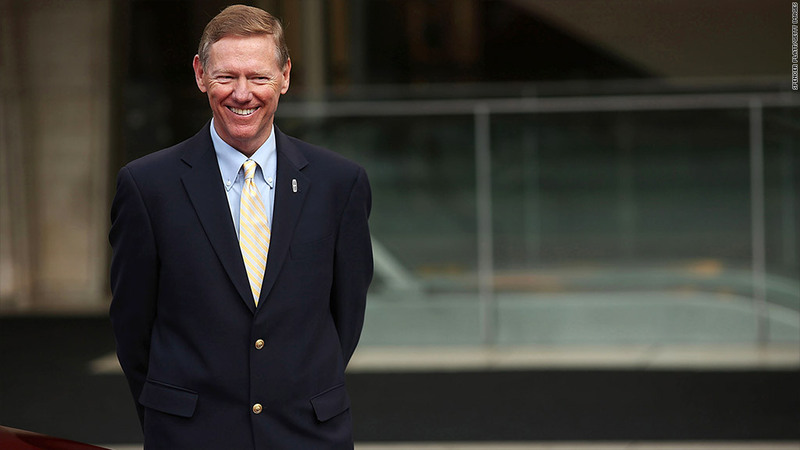 Ford CEO Alan Mulally is credited with turning the company around. After posting a strong year, Ford rewarded its CEO Alan Mulally with a pay raise of 11%. Mulally was paid $23.2 million in 2013, up from about $21 million the previous year, Ford (F) said in a regulatory filing. For 2013, the automaker's earnings rose 26% to $7.2 billion. The company also shared its strong performance with its hourly factory workers with a record profit-sharing bonus of about $8,800 each. Mulally became Ford's CEO in 2006 and is credited with turning the automaker around, allowing it to avoid the bankruptcy and federal bailout that rivals General Motors and Chrysler Group required during the recession. Mulally is also highly regarded in the corporate world and rumors circulated earlier this year that he would be tapped by Microsoft (MSFT) to replace retiring CEO Steve Balmer. But Mulally put those rumors to bed in January and said he would stay with Ford at least through 2014. Ford is paying Mulally more than what GM (GM) paid former CEO Dan Akerson in 2013. Akerson retired in January and was replaced by Mary Barra, whose pay package totals $14.4 million. Mulally's base salary remains the same at $2 million. His raise comes from a bigger bonus and increase in stock awards.